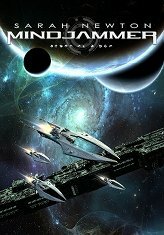 I’m delighted to announce today that Garry Harper will be joining us as Operations and Logistics Manager of Mindjammer Press. Garry brings a huge wealth of industry experience to the team, having worked in RPG operations for the past decade and in shipping logistics for even longer. He’s also heavily involved in charity work for The Role Play Haven, and has worked on many large-scale RPG projects, including “Conan – Adventures in an Age Undreamed-Of”, as well as several major industry kickstarters. Garry’s going to be immediately sorting out our inventories, warehousing, and fulfilment logistics, and will also be hands-on with our community development and marketing efforts. You’ll also get to see him at the Mindjammer Press booth at many conventions, starting this June with UK Games Expo in Birmingham, UK. Please join us in welcoming Garry aboard! We’re delighted to announce today the launch of the print versions of THE TEARS OF AMPHAROOL, the Quickstart and Introductory Adventure for CAPHARNAUM – THE TALES OF THE DRAGON-MARKED, and THE SWALLOWER OF SOULS, the Quickstart and Introductory Adventure for THE CHRONICLES OF FUTURE EARTH. THE SWALLOWER OF SOULS is the Quickstart Rules and Introductory Adventure for THE CHRONICLES OF FUTURE EARTH, the brand new cosmic fantasy roleplaying game from Mindjammer Press. Set in the far, far future of our planet Earth, it’s a game of sorcery and demons, of fallen civilisations and ancient technologies, of monsters and mysteries and mind-shattering dimensions. This Quickstart provides everything you need to play – a modified version of the Fate Core rules, specially tailored for cosmic fantasy roleplaying, six pregenerated characters, and an action-packed adventure in the Eternal City of Kados, spanning one or two sessions of play. THE TEARS OF AMPHAROOL is a complete and playable introductory adventure for CAPHARNAUM – THE TALES OF THE DRAGON-MARKED, featuring an abridged set of rules, five pregenerated characters to get to playing right away, and an action-packed scenario spanning one or two sessions of play. You can buy these from the Modiphius webstore right now, and in your friendly local games store in the next couple of months! We’re delighted to announce a new member joining the Mindjammer Press team this week, as we ready ourselves to meet the challenges of 2019. Luca Volpino (Wild Boar Publishing) joins us as our Administration Manager. His core responsiblity will be for internal sales reporting and all the essential numbers which need crunching in our business. You’ll also see Luca at conventions and online via social media – all of us here will be continuing to wear our many hats. Over the past 12 months here at Mindjammer Press, we’ve seen a huge increase in our workload as we open up new product lines – first Capharnaum, and now The Chronicles of Future Earth – and develop existing ones (particularly Mindjammer). Luca is joining us to help manage these essential business tasks and allow Sarah, Jason, John, and the rest of the production studio to continue to focus on creating our games. David will continue to manage our web presence and of course to write on Mindjammer and other games. It’s going to be a huge year for Mindjammer Press – I hope you’ll join us, and wish Luca a warm welcome!